Kumho Petrochemical is strengthening the management system for workspace safety, viewing that safe distribution, storage and use of chemical substances are critical for a company handling chemical substances. The company adopted a chemical management system in 2016 to better systematically monitor the entire workplace. Once raw materials, such as butadiene or styrene monomer used for synthetic rubber and synthetic resins, enter the workspace, they go through thorough a review and registration process. In case of an emergency, the firm runs a real-time monitoring system so that its technology planning team and environment safety team can swiftly respond. 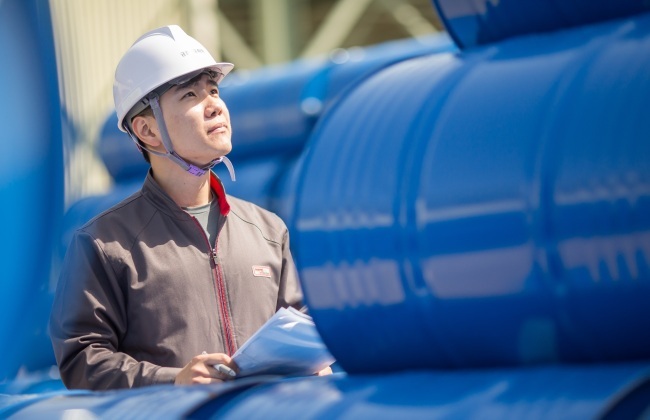 Kumho Petrochemical improves facilities and registration of new chemical substances based on the revision of related laws such as acts for registration and evaluation of chemical substances. As related regulations and guidelines are expected to be tougher, the company is reviewing long-term plans to strengthen safe environment management. “We will expand the safe management into our chemical affiliates to systematically cooperate among the affiliates and to create synergies,” said a company official.